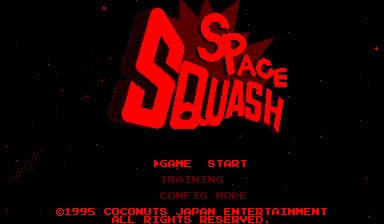 Space Squash is one of those games where the premise is so simple you could write it on the back of a postage stamp and still have room to spare. 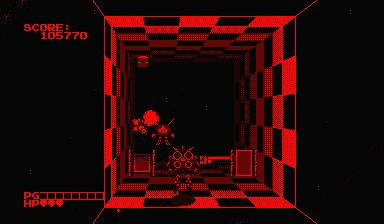 You guard one end of a tunnel and your opponent guards the other as you both float around smacking a spiked ball between one another. 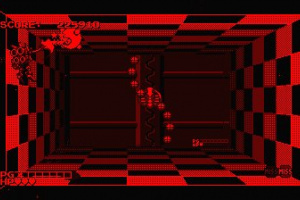 Get it past the opposition to score a point. 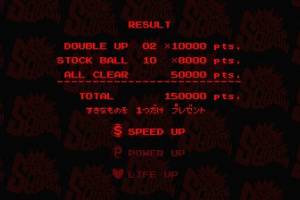 First to three wins. 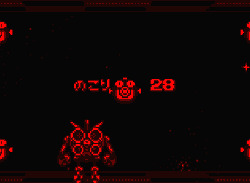 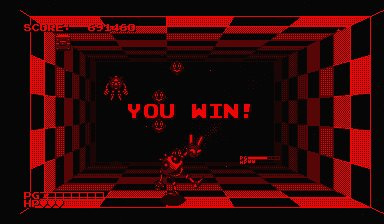 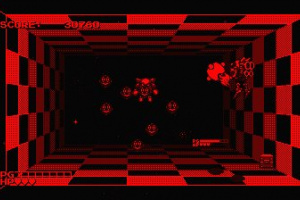 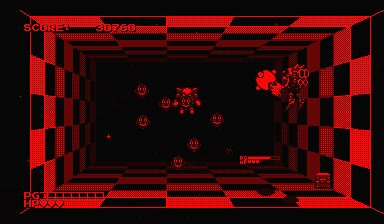 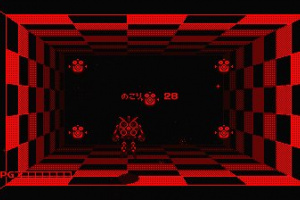 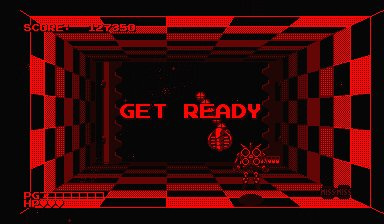 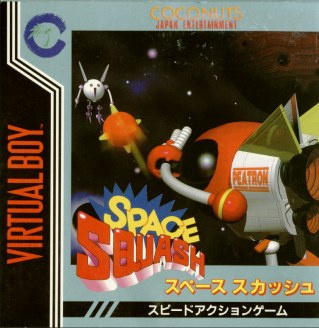 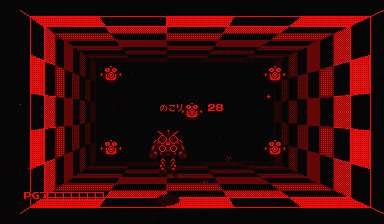 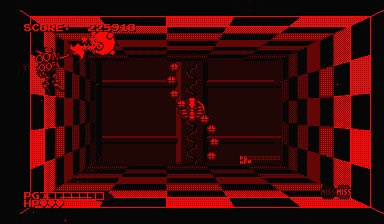 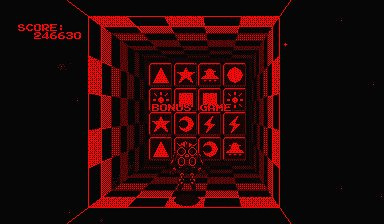 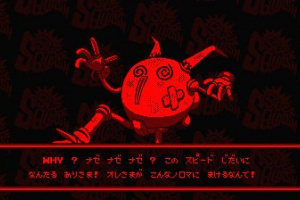 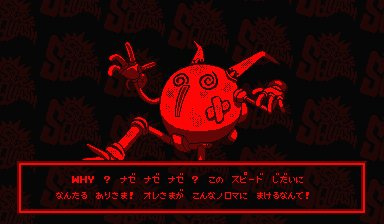 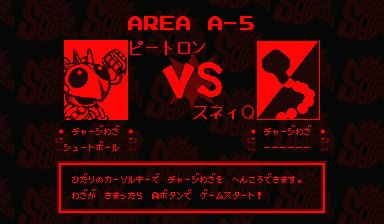 The left..
Space Squash was released in Japan by Coconuts Japan in 1995 for the Virtual Boy. 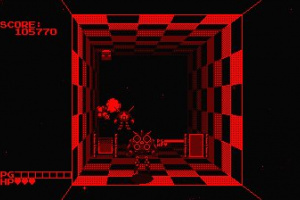 This game is essentially a 3D version of Pong. 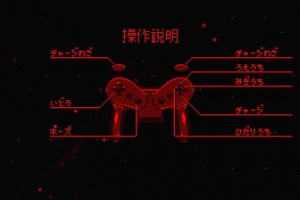 You control a robot who moves up, down, left and right to intercept the ball as it moves towards you. 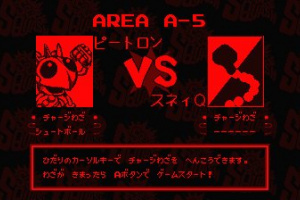 The gameplay is similar to games such as Super Glove Ball for the NES or Cosmic Smash for the Dreamcast. 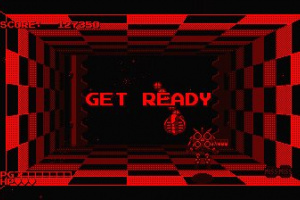 The challenge lies in telling how close the ball is to you. 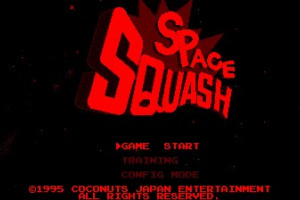 One of the rarer and Japanese release only games but an awesome one none the less. 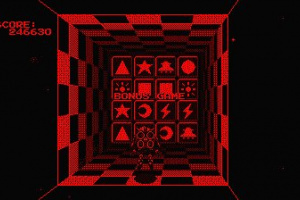 If you get your hands on this gem like me, you need to hold on to it! 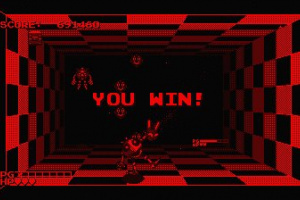 Pretty fun game, it is like Tennis without the net and with robots. 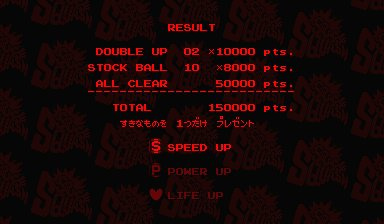 Like other VB games no save feature so it is a shame cause it is a long game to complete in one sitting but it's a good game.